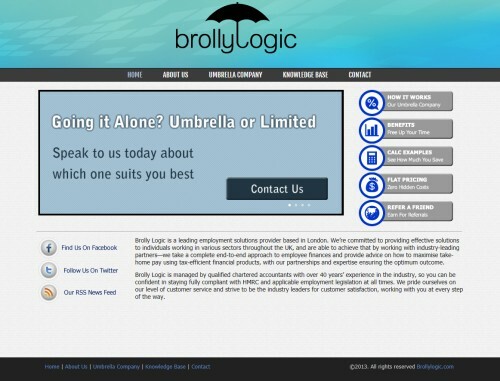 Brolly Logic provide offshore payroll and accountancy solutions for UK based companies providing a range of tax-efficient products with partnerships and expertise to make sure their clients always receive the best service. We’ve build a dynamic solution that allows the company to keep all the pages of the site updated in-house, all designed in a pleasing corporate layout. Some elements of movement, especially on the homepage bring the site to life and the company uses social media to engage with it’s customers online.